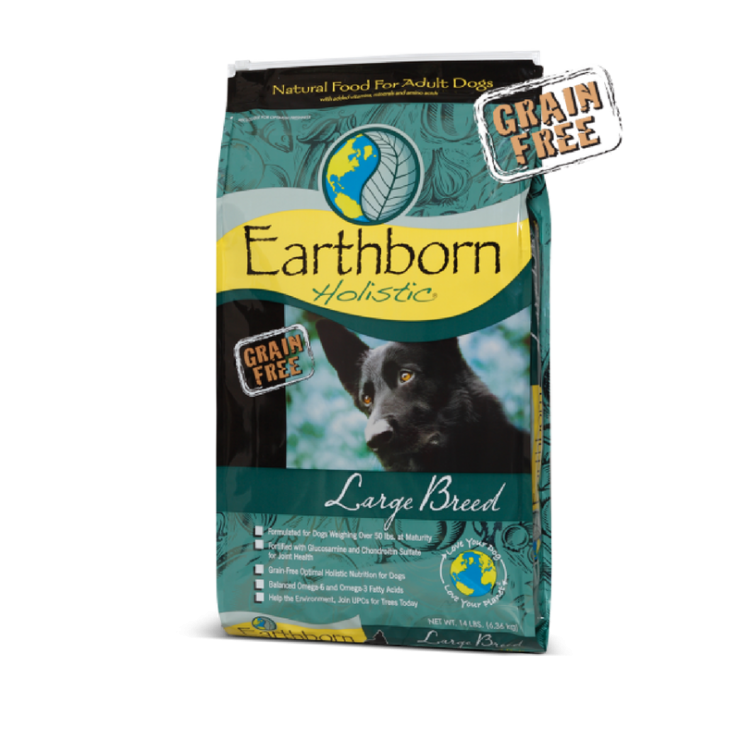 Earthborn Holistic® Large Breed is scientifically formulated to meet the special needs of dogs that will weigh over 50 lbs. at maturity. Made with a precise balance of protein, fat and carbohydrates, Large Breed formula provides the proper diet large and giant breed dogs need for strong bones, healthy joints and full body functioning. This hearty chicken meal formula, packed with wholesome vegetables and fruits, willl satisfy the nutrition he needs and the taste he loves.